Spain was the first European power to settle in Jamaica which owes its discovery to Christopher COLUMBUS in 1494. Before the coming of the Spaniards in the early 16th century, the island was inhabited by the indigenous Taino Indians, whose number began to diminish while the population of the African slaves grew. 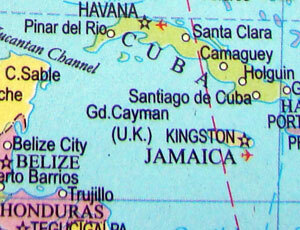 Jamaica became one of the Caribbean colonies of the Great Britain in 1655. A plantation economy - based on sugar, cocoa, and coffee - was established in the island. As a consequence of the abolition of slavery in 1834 a quarter million slaves were freed. Jamaica gradually graduated towards independence. In 1958 the other British colonies on the Caribbean were joined by Jamaica in forming the Federation of the West Indies. After withdrawing from the Federation in 1962, Jamaica declared its full independence. When you are in Jamaica, you might find yourself in a pop-up fairy tale. One of the most relaxed places in the world, the island in the in the Caribbean has retained the laid-back attitude. Known for its breathtaking scenic beauty, the island is famous for its enchanting pristine beaches, waterfalls and beautiful Blue Mountains. Kingston, the capital Jamaica, is a vibrant and creative city, known for its museums and colonial architecture. Spanish Town is famous for its Georgian architecture. The modern city of Montego Bay is a fascinating place. The captivating beach town of Negril provides outstanding opportunities for sailing, deep-sea fishing, scuba diving, water-skiing, parasailing and windsurfing. Other incentives to visit Jamaica include the Dunn’s River Falls and Blue Forests. Rocklands Feeding Station is a paradise for the birders. Blue Lagoon, Somerset Falls, 18th century Rose Hall Great House, and the celebrated St James Parish Church are other places of interest in Jamaica.